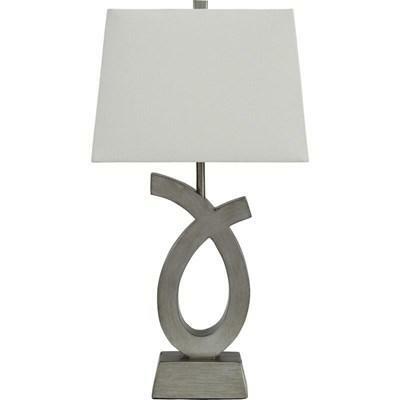 This contemporary Fisher Table Lamp by Decor-Rest features a modern design with a fish like figure in metal bronze and rectangular white shade. 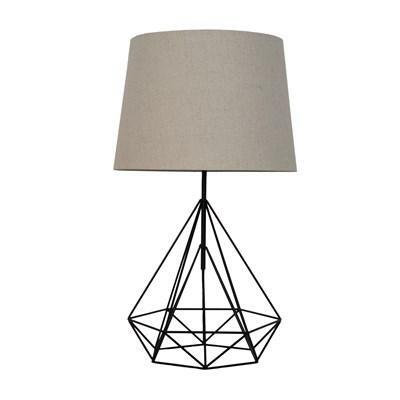 This Geometric Table Lamp by Decor-Rest Furniture features a very modern design that will combine with your contemporary living room or bedroom and will be an nice addition to your home. 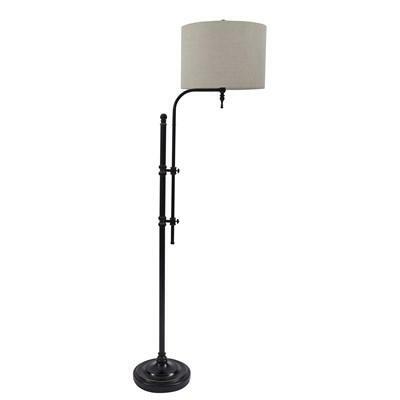 This Moon Floor Lamp by Decor-Rest Furniture features a contemporary style with a modern design that will give your living room an elegant look. 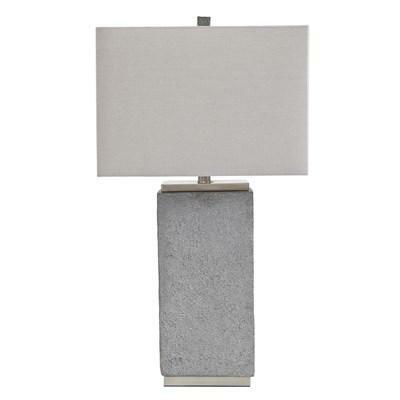 This modern Pillar Pewter Table Lamp by Decor-Rest features a crystal base mixed with chrome details and base, it also features a round white shade. 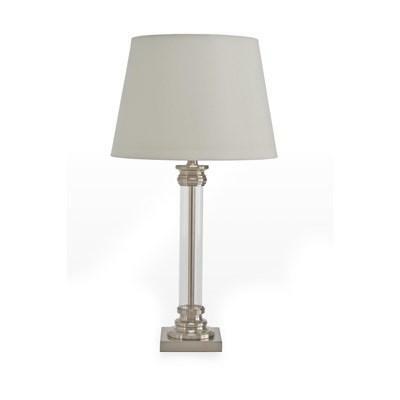 Scrolled metal base gives this high-style Signature Design Ainslie table lamp just enough added flair. 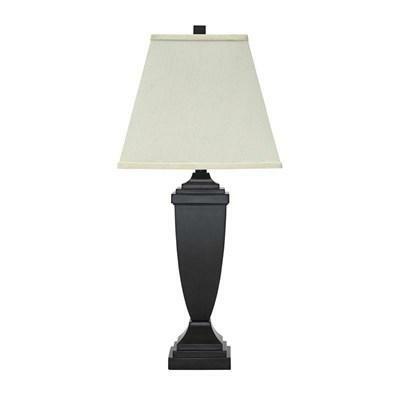 Open, cutout base lightens the mood beautifully. Age of beauty. 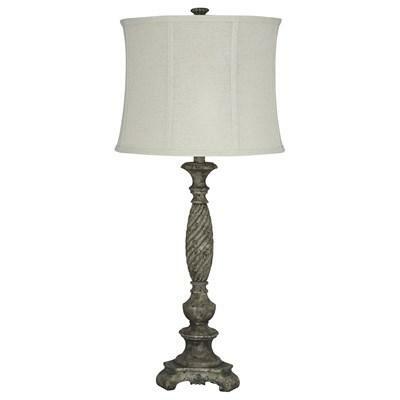 Sporting a lovely patina distressed effect, the Signature Design Alinae table lamp proves that some things do get better with age. Structured concave shade adds fabulous flair. 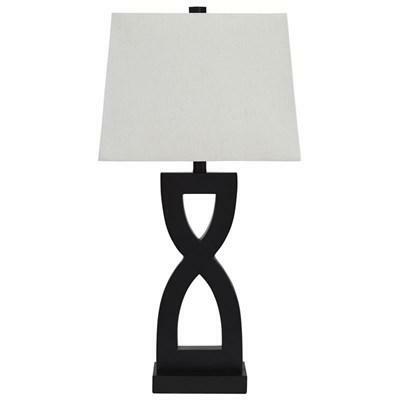 Make a bold and beautiful statement with the Signature Design Amasai table lamp. Structured hardback shade and sculptural base are the perfect pairing for a clean-lined, ultra-contemporary look. 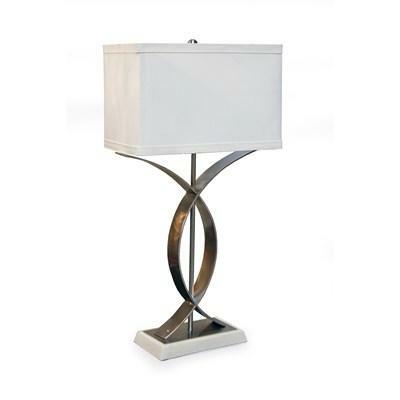 The Signature Design Amayeta bass clef table lamp is beautifully in tune with your love of all things chic and contemporary. 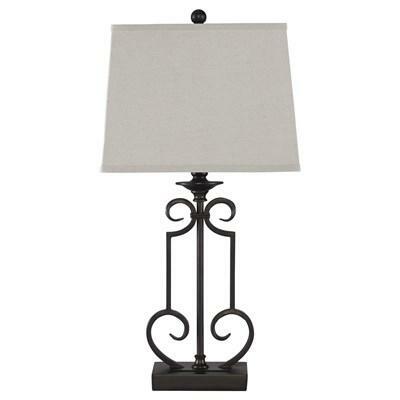 Part lamp. Part art sculpture. Totally stunning. No matter if your aesthetic is modern or classic. 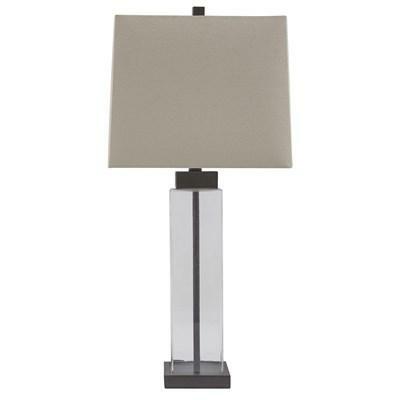 The Signature Design Amerigin table lamp offers the kind of clean-lined, structured and simply elegant look that’s always in style. 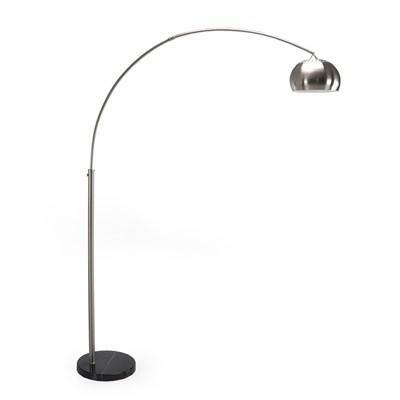 Up your style with the Anemoon floor lamp that takes a charmingly unique stance on lighting. Simply turn the pair of knobs on the sculptural metal base to adjust the light to the perfect height. How delightful.